I am a strong believer of the concept of “in-context analytics” and as I outlined in Mindful apps – putting people at the center supported by data I consider analytics and business intelligence to be essential in providing business value. 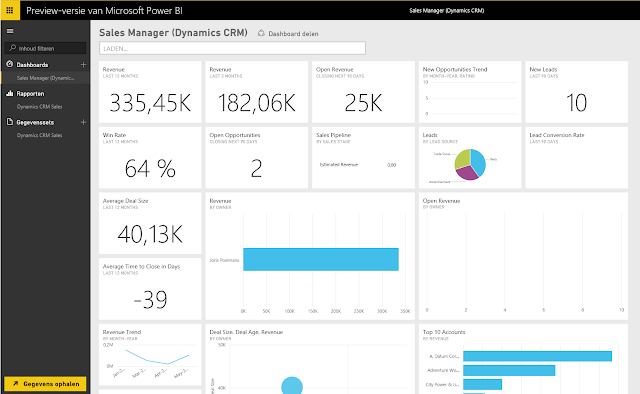 So I was quite interested when I first learned about the Power BI preview with it’s built in support Dynamics CRM Online (For a great write up about it check out Previewing the New Power BI Experience with Dynamics CRM). When I started playing around with it I was surprised that it seemed to do things quite differently from Power BI for Office 365 since I thought it was simply the next release of the existing Power BI for Office 365 offering. Apparently this is not the case. Power BI for Office 365 is based on technologies such as Excel and SharePoint and is an integrated part of Office 365, whereas Power BI Preview is built on a separate platform. Power BI Preview is using the browser the Power BI Designer as design tool for creating dashboards and reports whereas Power BI for Office 365 mainly relies on Excel as a design tool. 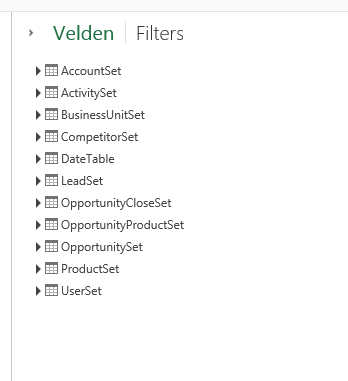 At the moment it is not possible yet to pass in filters to the Power BI Dashboards which seems like an essential requirement for truly embedded analytics in Dynamics CRM using Power BI – you can however vote for this feature on the Microsoft Power BI Support site – Pass filters in URL. To make matters even worse, it simply is not possible for the moment to embed Power BI Preview at all into Dynamics CRM – a feature which is available in Power BI for Office 365. 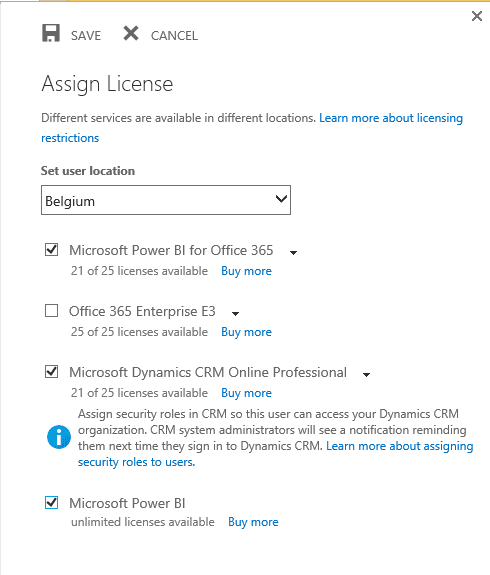 My guess is that the way forward will be Power BI Preview (or name it Power BI 2.0) and it will replace Power BI for Office 365 – you already see it appearing in the license management section of Office 365 (see screenshot below). But for the moment it is still a Preview and no specific release date has been made available so go for Power BI for Office 365 at the moment.